“You could say I never grew up. I’m still trying to rewrite my childhood, making it more interesting and exciting, even mysterious,” said 81-year-old Mary Downing Hahn, of Columbia. She is the author of 35 published children’s books — more than 20 of them novels and many of them prize winners. Among her accolades is the prestigious Edgar Award, given yearly by the Mystery Writers of America to writers of crime fiction. Her 2010 award was for Closed for the Season, in the juvenile crime category. Some of the big guys who have won an Edgar are Stephen King, Elmore Leonard and Ken Follett. Nevertheless, her ghost stories have been grabbing and shaking up her mostly 8- to 12-year-old readers for decades. 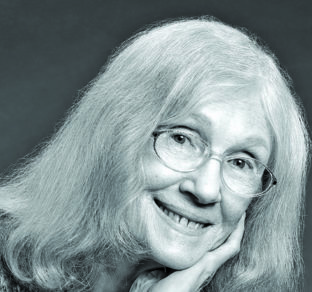 Her first novel was published in 1979, and she has since developed creepy situations into book-length stories that have usually appeared once a year. Her latest, set to come out this year, is Guest: a Changeling Tale, which is based on a rather weird piece of Irish folklore. “The book is based on the ancient Irish belief that malicious sprites took away healthy babies and replaced them with sick and hideous kids, which their parents abandoned or killed,” the writer said rather matter-of-factly. In this particular story, Molly, an Irish mother of long ago, goes through all sorts of spooky, eerie, hair-raising adventures as she seeks her one-and-only original baby. “I stumbled on a genre very popular for kids,” said the author. “I know that kids like to be scared. I certainly did. When you are scared by a story, everything else goes away, including the scary real world,” said Downing Hahn. Here’s what ParentMap, an online site for moms and dads has to say about scary stories for young readers: “Kids are instinctively drawn to scary things….A child comes away from a scary story with new tools for managing or controlling their own reactions to fear. Downing Hahn, a former librarian at the Laurel Public Library, is a native of College Park. She grew up on a block that was “loaded with kids my age. We spent hours outdoors playing ‘kick the can’ and ‘mother, may I,’ as well as cowboy and outlaw games that usually ended in quarrels about who shot whom. That was then. Now, the octogenarian feels sad that for too many present-day kids those outdoor games and explorations are being replaced by the simulated world on the Internet. Those years she lived in College Park have become fodder for her historical novels. For instance, Stepping on the Cracks, published in 1992, is set during World War II. The book, which Publishers Weekly called “a subtle, thought-provoking work,” concerns two young College Park girls whose older brothers are fighting the Nazis, and a young bully, whom the girls learn is beaten regularly by his father and is helping hide an older brother who is an Army deserter. Downing Hahn wrote the book after her editor told her that, believe it or not, much of what happened in her own life is now seen as world history. Now that she has become a revered author for beginning readers, has she ever wanted to enter the literary marketplace for the supposed grownups? “But that’s not me. I read some adult novels written by Judy Blume (the famous juvenile books author), and they are not so successful. Which could give Mary Downing Hahn a lot more time for many more books.